With the greatest play-by-play announcers in central Illinois, why wouldn’t you want to hear that game again? When Sam Madonia speaks, people listen. And sometimes they want to listen again and again. Now you can, with AM Springfield On Demand. Get the five most recent interviews on this page, but if you’d like to go a little more in depth with AM Springfield visit the AM Springfield On Demand page. Your life gets busy. We know you can’t always listen to The Press Box live, and that’s okay. You can still hear it with The Press Box On Demand. 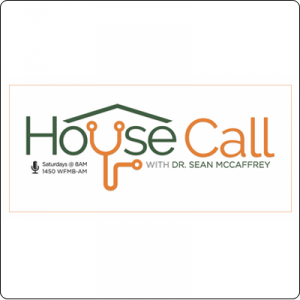 With House Call On Demand you can have a doctor visit anywhere. The car, on the treadmill, walking the dog…get the latest 5 episodes here.